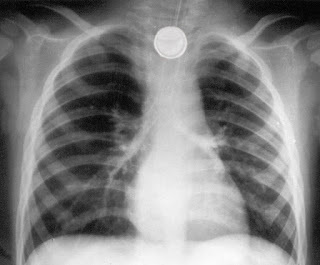 Button batteries swallowed by children cause significant damage to the lining of the throat and esophagus and has the potential to cause significant swallowing difficulties both in the short-term due to mucosal injury as well as long-term issues from scarring. Serious damage can occur within 2 hours of battery ingestion and deaths have also occurred due to button battery ingestion. As such, any intervention that can be done to minimize mucosal damage from the moment of swallow until the button battery is removed surgically can profoundly improve outcomes. According to researchers at the Children's Hospital of Philadelphia, honey along with a medication called sucralfate provided significant protective effects. Other liquids tested which did not help as much included apple juice, orange juice, Gatorade, Powerade, and pure maple syrup. Both honey and sucralfate neutralized tissue pH and created more localized and superficial injuries with a decrease in both full‐thickness and outward extension of injury in the deep muscle beyond the surface ulcer margins. Basically, if a child swallows a button battery, the parents should immediately have the child swallow 1 teaspoon of honey in the home as soon as possible... THEN drive the child to the hospital ER where sucralfate can be administered. These steps will minimize throat damage the button battery is causing until it can be removed. Of note, honey should NOT be given if the child is less than one years old due to risk of botulism.